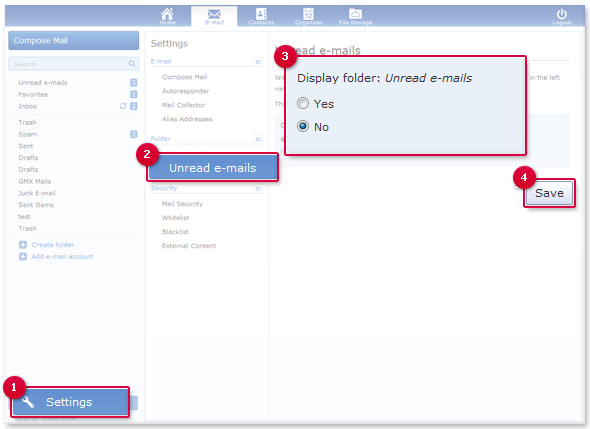 Your unread e-mail are displayed in a additional view. If you do not need this view, you can deactivate it inside the settings. All e-mail you have not yet read automatically appear in the Unread e-mail view. You can deactivate this view. Click on Settings in the Inbox menu. Select the Folder category and then Unread e-mail.